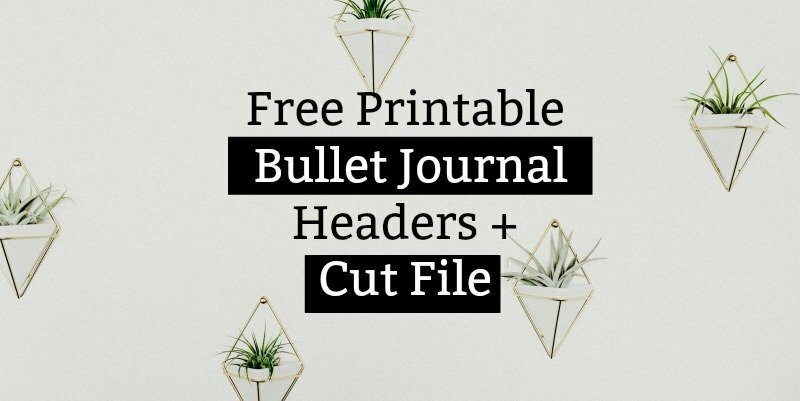 Add some fun daily headers to your bullet journal with this free printable. 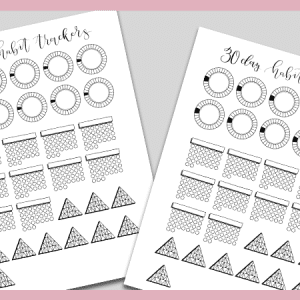 This download includes both a PDF version and a transparent PNG file that is ready to be cut with a Cricut or Silhouette. So, I got a Cricut from my mom for Christmas. And sadly, until just recently, I had barely used it. on Amazon, and have been furiously printing and cutting stickers the past few days. In fact, I just recently started selling kiss-cut stickers in my Etsy shop. But, I’m all about generosity and sharing. So, on top of making stickers for my shop, I’m working diligently to share lots of freebies, here on The Petite Planner. 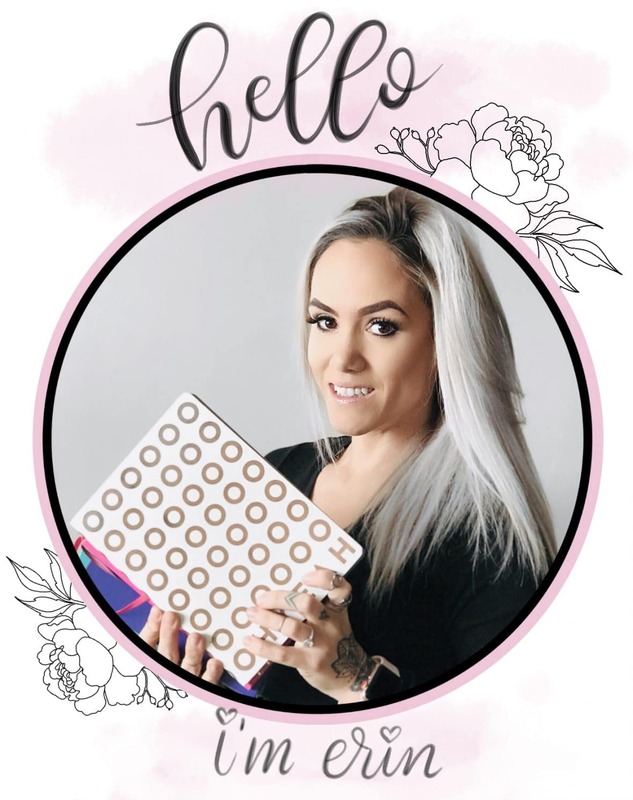 I made a promise over a year ago that I would regularly update my VIP Resource Library with new printables. And in all honesty, here lately, I’ve sucked. Between putting together the Rock Your Journal Course and getting my Etsy Shop all squared up, I have forgotten about some things. No more. I am committing to freebies. Lots and lots of freebies. This download includes two files. One is a US Letter sized PDF that you can print and cut out by hand. However, if you have a Cricut or Silhouette, this download also comes with a transparent PNG version. Just upload the file to your design space and cut it out on your machine. on Amazon. This way you can print directly on the sticker paper and cut out each individual sticker as you need it, without needing glue or tape. Leave a little bit of white space around the edge of the letters to make cutting easier. 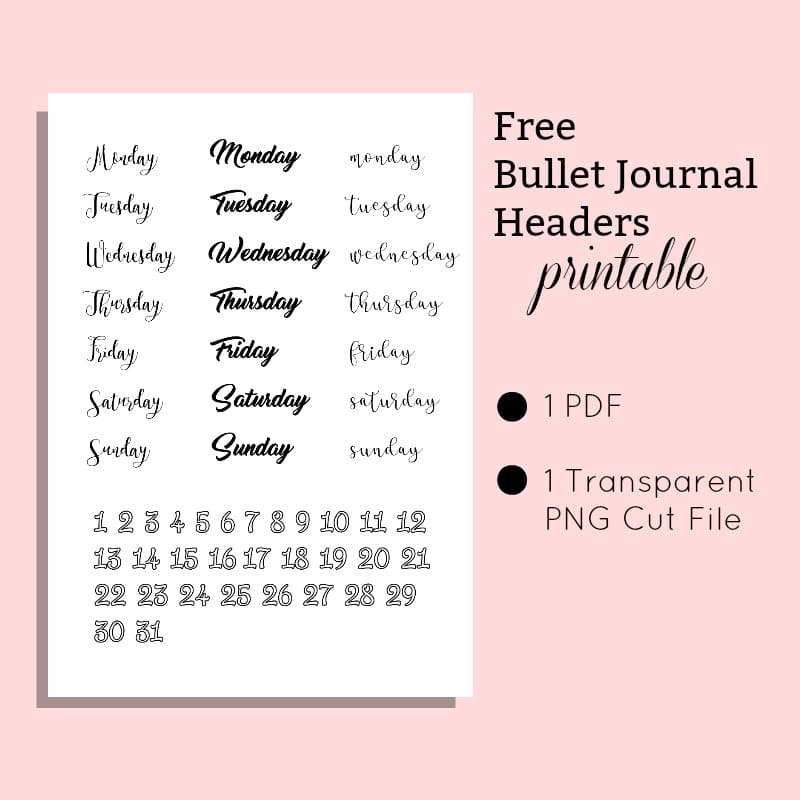 I hope you enjoy these fun bullet journal header stickers. 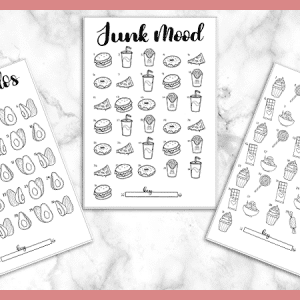 I’m on a quest to get out as many free printables as I can this year. So, if you have any suggestions, I would love to hear them in the comments. 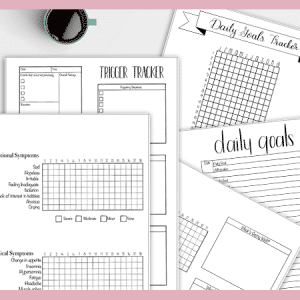 Snag all of my free printables when you sign up for the VIP Resource Library Completely Free.